Looking for ⭐ Penn Dutch Weekly Ad for this week? 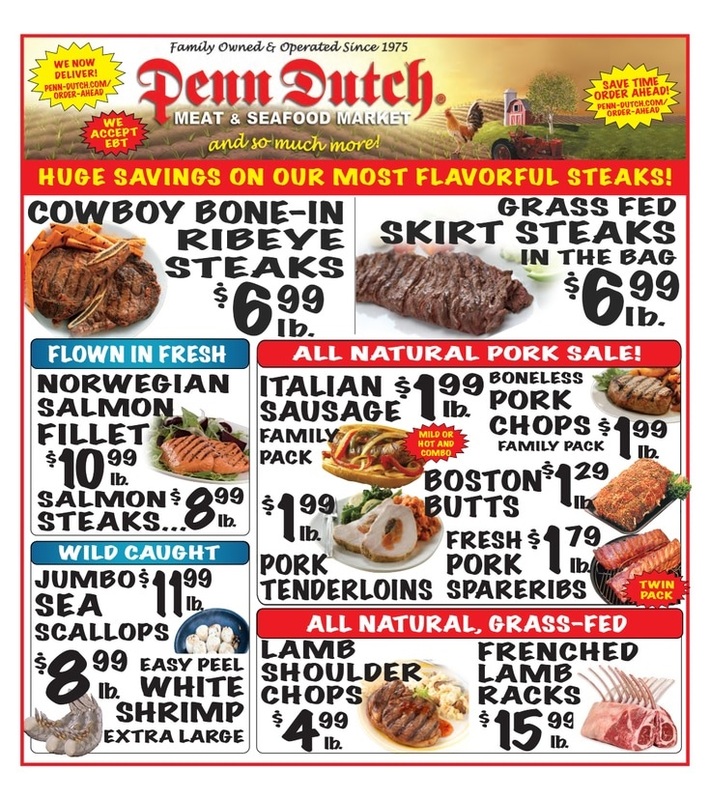 Check out here ✅ Penn Dutch Ad, prices valid April 10 - 16, 2019. 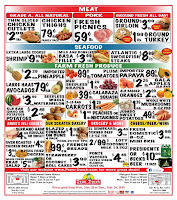 Penn Dutch Meat & Seafood Market is family owned business that's been serving the community as the largest butcher shop in South Florida since 1975 in Hollywood and since 2004 in Margate. 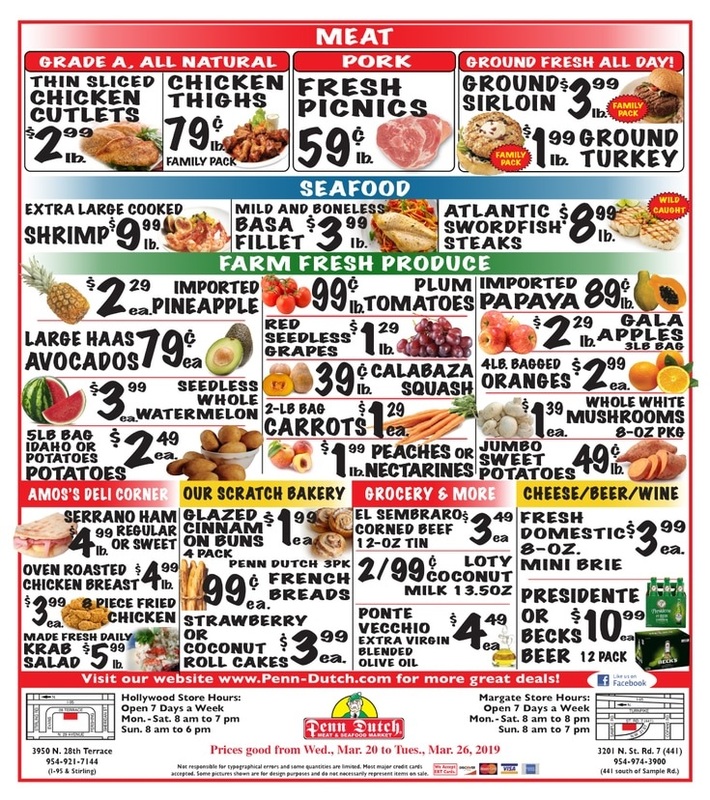 Don't forget to save and print the weekly sales ad for Penn Dutch Meat & Seafood Market and save more when you buying All Natural Pork Sale, Seafood, Farm Fresh Produce, Bakery, Grocery, and much more. Visit the official site of Penn Dutch and get see more about weekly ad, delicious recipes, or peruse daily deals.